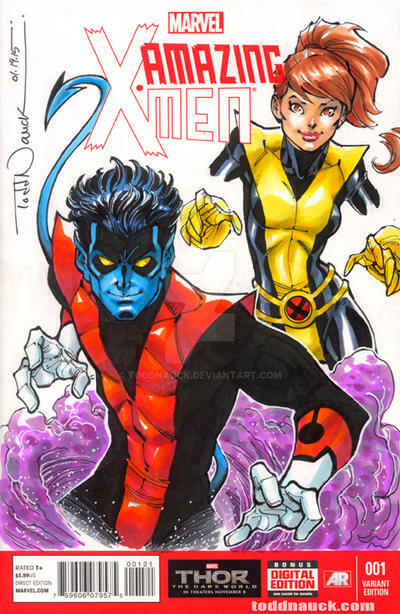 I drew this Nightcrawler and Kitty Pryde on an "Amazing X-Men"blank variant cover for my NIGHTCRAWLER #11 Twitter Retweet Contest. 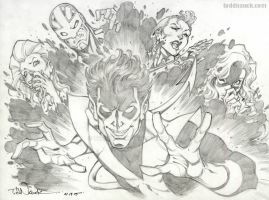 I know I already fangirled at you about this in person, but I absolutely adore how you draw Kurt. Growing up, I wanted to be Kitty and have Kurt as a BFF, so I can't even begin to express how much I love this cover. 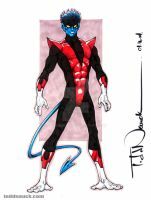 I really want there to be a Kitty Pryde and Nightcrawler LS. In the mainstream universe they haven't served on a team together since 2000. 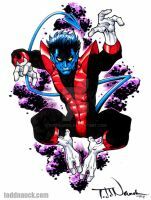 My two favorite X-Men. Awesome. Fantastic job! Love your art! 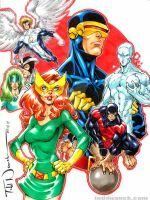 These two were my favorite pairing on X-men Evolutions.